Delve into public health issues through a human-centred design lens. 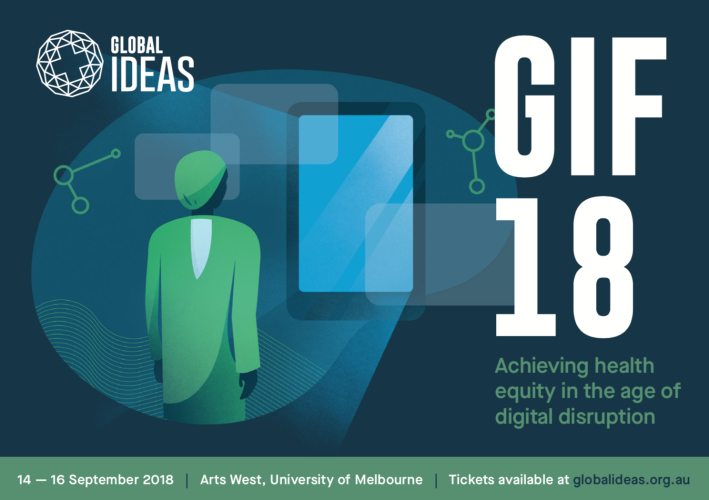 The program for this forum reflects Global Ideas’ innovative approach to problem solving, bringing together interdisciplinary experts with backgrounds in medicine, design, business, artificial intelligence, journalism and technology. The forum is open to anyone with an interest in acquiring new skills to understand and harness technology to achieve the promise of health for all. For a full program and list of speakers, please visit the event website. Presented by Global Ideas Forum In partnership with the University of Melbourne, the Fred Hollows Foundation and Save the Children Australia.